It is not just enough to install good fire fighting equipment in your commercial premises. Your staff also need fire safety training in case they ever face a situation where they need to deal with a fire. At Strategic Fire Solutions, we know how much important good fire safety training is for saving lives and preventing damage to assets. The layout and infrastructure of commercial premises is never the same for every business. At Strategic Fire Solutions, we understand that completely. That is the reason why we provide site specific fire safety training and emergency management. Our fire and emergency management plans are compliant to AS 3745-2010 and Building Fire Safety Regulation 2008. Our site specific plans cover all aspects of workplace emergency preparedness. The response plans can be self-managed by your staff at the workplace, when needed. 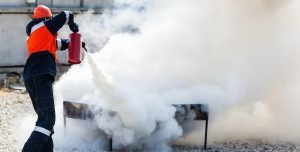 Our fire fighting training involves training in the use of fire extinguishers, first response, general evacuation and evacuation coordination instructions. Evacuation trial exercises can be conducted at regular intervals as per your requirement. A fire, small or big, can cause immense damage to the workplace and can endanger lives too. You need to be always prepared to face such situations. Moreover, you also need to ensure that everyone at your workplace too is well-prepared and trained to take care of such unexpected situations. Talk to us at Strategic Fire Solutions for your workplace fire and emergency management plans. Our expert team will be only too glad to discuss your fire safety training needs. We can come up with a plan suitable to your commercial premises as well as the strength of your staff. We can also provide you with a representative to help you cover your Fire Safety Advisor requirements for the Queensland Fire and Rescue Service audits. Strategic Fire Solutions is a full service Brisbane fire services company. Give us a call today on 07 3201 6511.